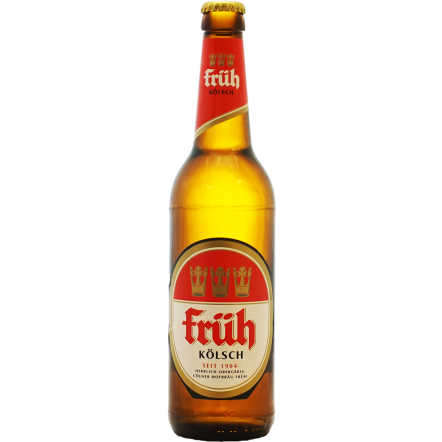 Fruh have been brewing their very unusual Kolsch beer for over 100 years in the shadow of Cologne cathedral. Kolsch is a top-fermented beer – using an ale yeast rather than a lager – but is then lagered at very low temperatures like a pilsner or a helles. This leads to a crisp, light beer with lots of ale-like floral aromas from the yeast. Fruh is one of the most famous brewers of this slightly obscure style. Why it is obscure is a mystery as the technique can produce some hugely satisfying, full-flavoured beers.